I used to coach a team of Smurfs. Joke. But I am only half-kidding as I used to call the boys what else but – uhm – Smurfs! First of all, Lipa is not exactly the Land of the Giants. Whatever few six-footers that the wind blew our way invariably ended up harbouring ambitions of the PBA. In fact, in three decades of coaching high school football teams, I often got the impression that I was getting those who knew that they were not tall enough to get into either the basketball or volleyball teams. Not that I was choosy. Anybody who cared was always welcomed; albeit whoever dared soon found out that training was not for the feint of heart. Sportingly, the players from the other teams applauded heartily as my boys were called to receive the third place trophy. The applause, we all concluded, was because nobody would have believed that such a small team could have gone so far. Barring the Class of 1996, therefore, you can count on the fingers of your two hands the number of players who grew taller than I am. And I am a mere 5’ 9 ½”. There was this team – what would become the Class of 2003 – who I called my ‘litel boys’ – if I was being kind – or my Smurfs – if I was being mean. Some came as freshmen; the others arrived when they were sophomores. And I wondered if the day would ever come when they would finally grow up. By their junior year, some of the boys had grown – somewhat. If you lined up the boys – Pinkoy Alamillo, Arvin Carandang, Ryan ‘Ting’ Avenio, Rommel ‘Dubai’ Valencia, Alvaro ‘Aning’ Olivera, Martin Buhion, Tyron Anciano and Albert ‘Pagay’ Pagayonan – you could pave a road on top of their heads and it would be even, such was the uniformity of their heights. Ting was growing, alright; but stockier, not taller. 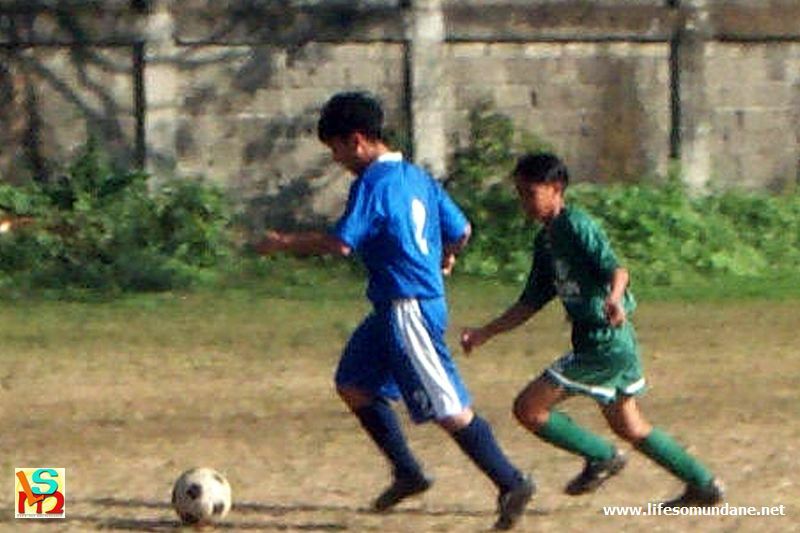 Life is nothing if not full of ironies, of course; and in their junior year, the boys were captained by the six-footer senior James Dimaculangan. During matches, James always looked like father to all these little children. But they do say that some of the best things in life come in small packages. 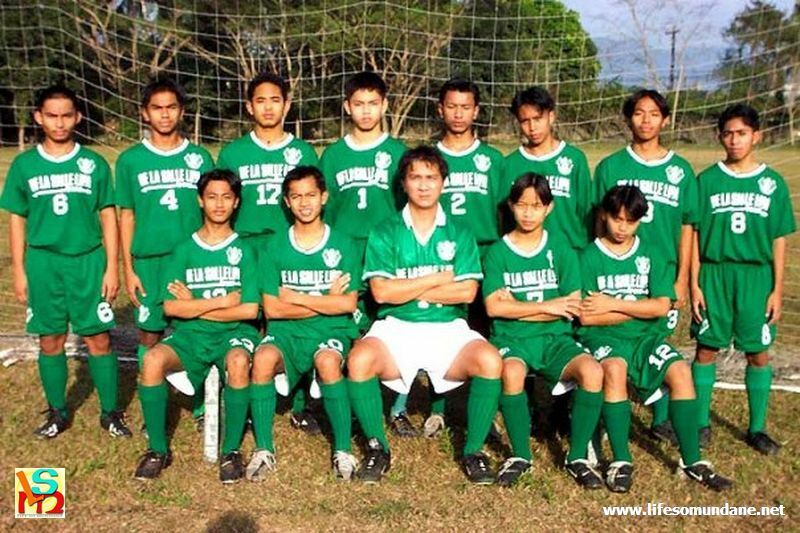 On their senior year, against my own expectations, the team finished second behind Zobel in the southern group of our high school league. This meant that we had qualified for the semi-finals. The team lacked the skilful flamboyance of my other strong teams. It did not have anyone in the way of a football star; but that, when I come to think about it, was the team’s strength. Everyone worked hard and played for each other. While the team did not really play with flair, it pleased me no end how these little men scampered all over the place to pressure their often taller opponents into giving the ball away. When we gained possession, we broke forward quickly and often scored from these quick counterattacks. When the time came to play the semi-finals, it was still that time of the year when the seasons hadn’t fully changed yet; and one day could be as cold as the next day was hot. Talk to me about climate change and I will tell you all about it as I am the self-proclaimed expert on the subject. I mean, I know how cruel a change of climates can be to football teams. 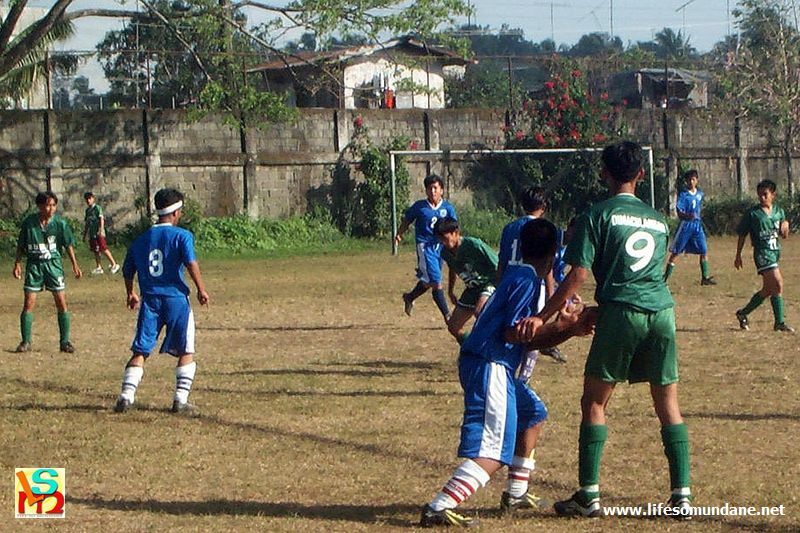 Being in Lipa, we trained in the late afternoons when it would always be pleasantly cool – sometimes even chilly – particularly during the late and early months of the year. Then, we would go down to sea level for our weekend league matches. On really hot days, even if I brought an M-16 rifle, I could not make dehydrated players who were feeling the scorching heat of the sun on their skin run if I wanted to. It’s what I call the effect of climate change. That is why, when we arrived at the venue for the semi-finals, my heart immediately sank because it was threatening to be a really hot morning. I was afraid of the blazing 10 o’clock sun at the Ateneo football grounds, not Ateneo the football team. As I dreaded, the effect of climate change simply took over and we lost 0-4. It was not so much that Ateneo was superior. The boys were just playing with leaden feet. The next week, for the third place play-off, Mother Nature played another of her cruel jokes. It was refreshingly cool at the venue; and I knew that this would be to our advantage. Why the hot day the week before could not have waited just one more week is something that niggles to this very day. Needless to say, we defeated Xavier 3-1 to claim third place. When one considers that Xavier and Ateneo played to a stalemate in their north group encounter, we could easily have played for the championship, instead. 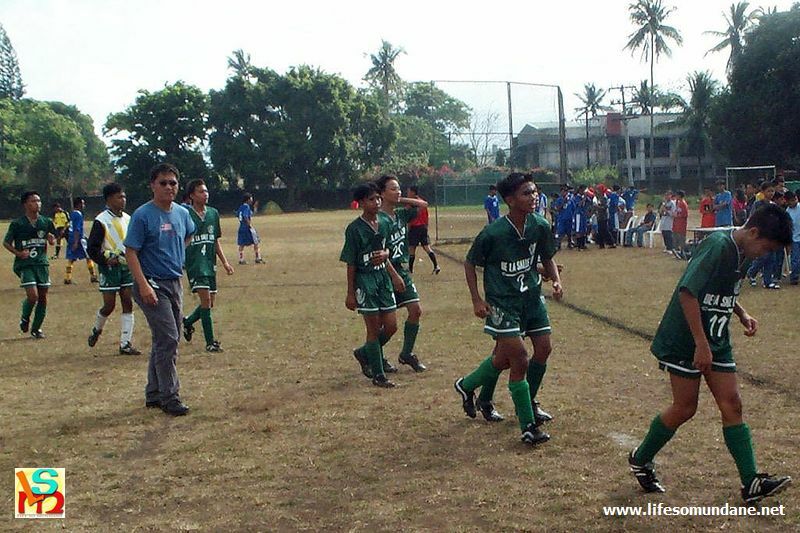 When all the teams lined up for the awarding ceremonies, my team looked like one from a younger age group as all the players of Zobel, Ateneo and Xavier towered above mine.